A female driver was taken to hospital early yesterday (Thursday) after being cut free from a crashed vehicle in north east Fife. 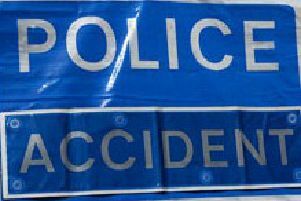 The woman was injured when her Vauxhall Corsa car left the road and came to rest on its roof, around 5am on the A91 between Strathmiglo and Falkland, near Easter Cash Cottages. Police and fire services attended and the woman was released from the vehicle by the fire personnel and taken by ambulance to the Victoria Hospital in Kirkcaldy around 6.20am. A police spokesman said no other vehicle was involved in the accident and the woman’s injuries were not thought to be life-threatening.